As you probably know, Samsung is no stranger from selling its flagship phones alongside various free gifts. For example, last year's Galaxy Note 8 came with freebies like a Gear 360 camera, or a microSD card. 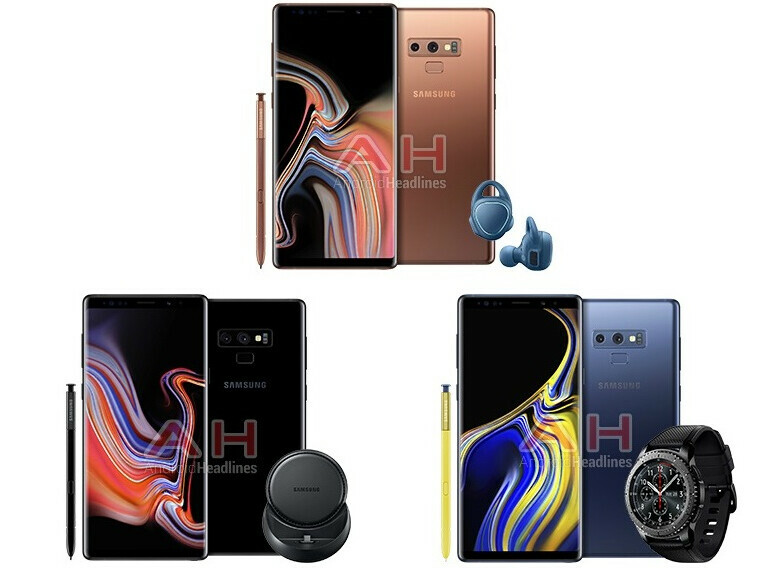 Thus, it's possible that the accessories we're now seeing next to the Note 9 will be bundled with the handset at launch at no extra cost. Assuming that this is true (there's no confirmation yet), customers will likely have to choose between the Gear S3 watch, the Gear IconX earphones, or the wireless charging stand - getting all of them for free should be out of the question. Currently priced at $279, the Samsung Gear S3 would be the most valuable gift here. I’ll take a Note 9 and Galaxy watch please. Your post doesn't even make sense. " They surely gonna do so...". Wtf? Totally agree. This is literally a big S9. We never hear about note numbers because it doesn’t sell well. The S10 should be something new hopefully. Until then im really rooting for Google and Apples lineup this year. Samsung Reps have the phone in hand and are showing it to retail stores as we type... Spent significant time with it and it's very nice. The optimization is on point and it's a bit thicker than the Note 8. Spen is definitely Bluetooth and has some really cool features! Can't wait to own one of those beaut's! Placement of the FPS, updates to the s-pen i believe, sd 845. Maybe the newer version of bixby? Thats all that i saw. Have you not read anything about this phone from the first rumor round up to present? All I see is someone who asked a redundant question just to post their opinion about a phone they don't plan on getting. I got two words for your comment: Id-iotic. in term of design, i think the Galaxy S8 has the best looking back. this Note 9 is the worst of all. Seems strange that the blue Note would be the only one to come with a different colored S-Pen. I wonder why that it is. I do like that one best though. Wow with all the rumors about battery, s-pen, and now this. Looks like I’m going back to Samsung next year. This is hard to pass up. Uhm that's not a wireless charging stand, Florin you do know that right? It's the first gen DeX.